SAMANTHA LONG, ONE of the Fine Gael women overlooked for the Seanad by-election nomination, has quit the party this morning saying it is ignoring female candidates. Long, a losing local election candidate in Rathgar-Rathmines last May, emailed the party at around 10.30am this morning to say she was resigning. She told TheJournal.ie she is “relieved” with her decision. 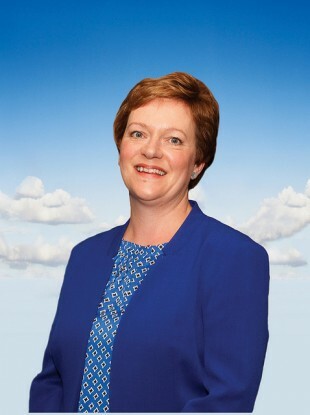 Long was one of the two women named by Fine Gael’s national executive as a potential candidate for the Seanad seat vacated by Deirdre Clune. But Taoiseach Enda Kenny instead selected Donegal-based John McNulty, a decision which has been mired in controversy in recent days. “I am not personally disgruntled, I’m disappointed. The party is ignoring the talented pool of female candidates and is regressing the gender balance further,” Long said. Long acknowledged she is “no Lucinda [Creighton]” and insisted she was not trying to “make a headline”. She said she now intends to step away from politics altogether and will not be joining any other party. “I am delighted for the experience I’ve had. I am happy and emotional with my decision,” she added. Separately, Fianna Fáil leader Micheál Martin has called on Enda Kenny to re-run the by-election process as well as apologise to the board of the Irish Museum of Modern Art (IMMA). McNulty was appointed to the board of IMMA days before his Seanad by-election nomination was confirmed leading to accusations that Fine Gael has pulled a ‘political stroke’. Martin said in a statement today: “The first thing that the Taoiseach should do on his return is to apologise to the board of the Irish Museum of Modern Art. This key cultural institution has been abused for straightforward internal Fine Gael party business reasons and it is not good enough. Email “Overlooked Seanad hopeful Samantha Long quits Fine Gael, says party is ignoring females ”. Feedback on “Overlooked Seanad hopeful Samantha Long quits Fine Gael, says party is ignoring females ”.